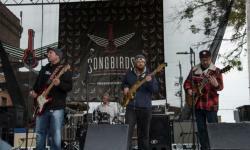 Second Saturdays on Station Street is a five-part musical series that will be hosted by the Songbirds Foundation on the second Saturday of every month during the summer (May 13, June 10, July 8, August 12, and September 9) from 2-7 p.m. This event is designed to celebrate the businesses on and around Station Street and the Southside Neighborhood, and highlight local and regional music, art, culture, and food. 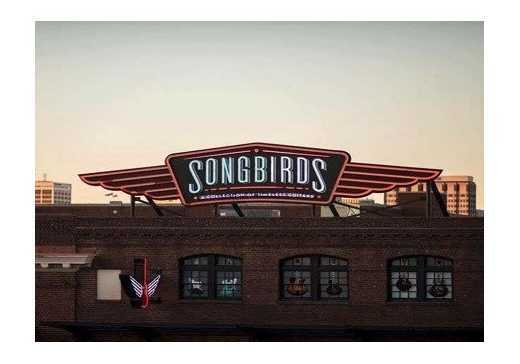 During the event, Station Street will be closed to traffic and a large stage will be erected in front of the Songbirds Guitar Museum. This stage will feature local and national musical acts. We will have performing artists such as puppeteers, muralists, and buskers along the street that will showcase Chattanooga’s vibrant creativity. There will also be special events and activities for kids throughout the day. This event is free to the public. This Chattanooga based family bluegrass group has a smooth and driving sound. They describe themselves as "having no country flare, no jam grass/newgrass flare, not your grandpa&apos;s Bluegrass, no hipster flare, no tinny nasal vocals, just our version of smooth driving bluegrass." BFN&Co. compiles impressive driving, darker arrangements, blending standard traditional bluegrass with a more innovative approach. 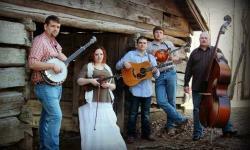 The Mountain Cove Bluegrass Band has been performing since 2008 when they formed the band at their High school. 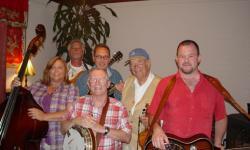 The band plays several genres of music including Bluegrass, Gospel and Americana. The band’s unique sound can be attributed to their uncommon enthusiasm and the addition of a harmonica, not common to most bluegrass bands. It was back in 1945 that a group of McCallie students got together and began singing and playing a brand of Bluegrass music that has gone on now for more than 65 years. The name “Dismembered Tennesseans” seemed good enough a name for a bunch of teenagers who had no long range plans, and they sang their way through school. Easily one of the most popular bands in hometown Chattanooga, they have made their mark singing bluegrass music for people who don’t particularly like country music. 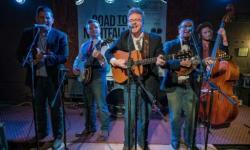 This Chattanooga band has been described as having a sound akin to classic country. Their influences include Merle Haggard, Johnny Cash, and Elvis Presley. 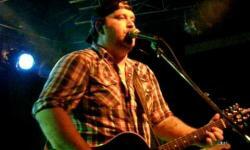 Davey Smith, the lead singer of the band was chosen as the 2013 winner of Chattanooga&apos;s #1 Country Music Artist. They describe themselves as the "honkiest tonkiest band in the Chattanooga area" so come out and see what they are all about! Performing since the age of five and a songwriting since his teens, Farrow has evolved a unique sound based on a lifetime of eclectic experiences. 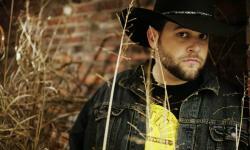 His original music finds its roots in the Outlaw Country of Hank and Cash with modern influences. 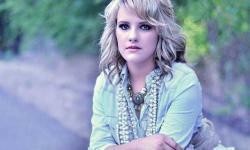 Hailing from Texas, Amber Carrington grew up in a family of musicians. She first picked up a microphone at the age of nine, the rest is history as they say! Amber gained her initial fame as a semi-finalist on Season 4 of NBC’s “The Voice.” Her natural voice, style and ease with country music challenged iconic Voice coach, Adam Levine of Maroon 5. She would end up coming in third for the hit NBC show. 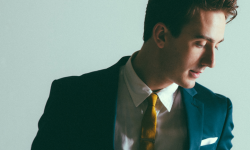 Paul Childers is trying to challenge everything you thought you knew about the future of music. Refusing to be ghettoized, Paul finds a way to blur the lines cast between Stevie Ray Vaughan and Jimi Hendrix styles of guitar playing, a Motown rhythm section, and Pop vocal melodies.What really impresses is the lack of insurance during a performance. Between a guitar, bass, piano, and drum set, there is nothing for the musicians to hide behind. 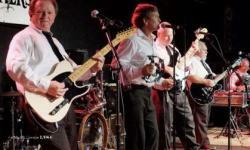 Formed in 1985 by Clark, Greene and Turner, the band achieved great success by performing the music of the 60’s.The Beaters pay close attention to detail in reproducing the sounds of the original recordings. Their excellent vocal harmonies and exceptional musicianship are unsurpassed. 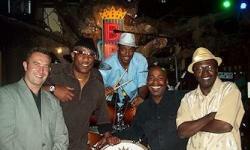 When it comes to music styles, The Beaters have it covered featuring songs by artists like The Beatles, The Temptations, and Michael Jackson. When it comes to straight out funky blues and rock, it is going to hard to find a band that does it better than these guys.With a mixture of rockin’ blues, electric funk, jazz, classic rock, and great Motown soul, The Power Players Band delivers a variety of different music guaranteed to even get your grandma moving and grooving with rhythm of the golden days. 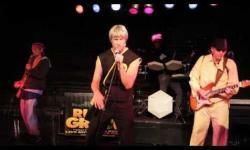 If you love 80’s music this is the band for you. They are interactive, get the audience involved and can keep the party wang chunging all night long! …the band has a huge following and makes new fans where ever they go.